Westgate Art Room - What's Happening in the Art Room? Once again the art department is partnering with the Square 1 Art fundraiser organization to offer student art keepsakes just in time for the holidays! Catalogs for each student are being sent home this week with directions for ordering the keepsakes. Please take note of deadlines for ordering. All orders need to be placed by November 18th to ensure merchandise delivery by December 16th. Happy shopping! 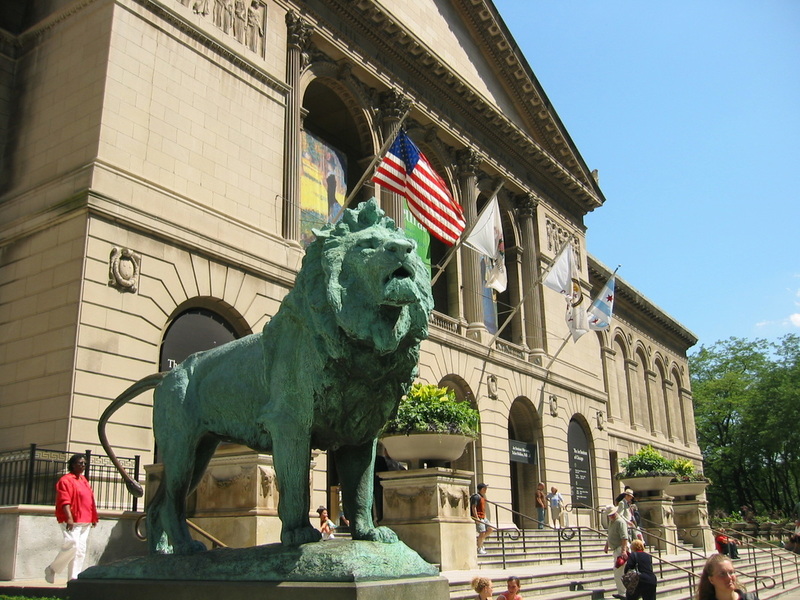 This month the 4th grade and 3/4 multi-age students will travel to the Art Institute for a tour of the museum. We are scheduled for the "Stories in Art" docent-led tour. Students will be learning how to "read" a painting by asking "What do I see?" and "What does it mean?" This is always such a wonderful outing for the students...this experience helps them to become visually literate and culturally aware . What a beautiful day for the International Day of Peace 2015! As the wind gently blew...students created the Peace Installation with their pinwheels. Laughter, smiles and peace filled the air! The art room has been filled with excitement as students are creating their Pinwheels for Peace! This year each grade level incorporated various art concepts into the design of their pinwheel. 1st graders worked with geometric and organic shapes. Second graders also worked with geometric and organic shapes and used radial symmetry. Third graders also worked with the two families of shapes and they used warm and cool color palettes in their designs. The 4th graders drew their inspiration from the Post-Impressionism Movement of Pointillism. Students observed the painting A Sunday Afternoon at the Island of the Grand Jatte by the artist George Seurat. 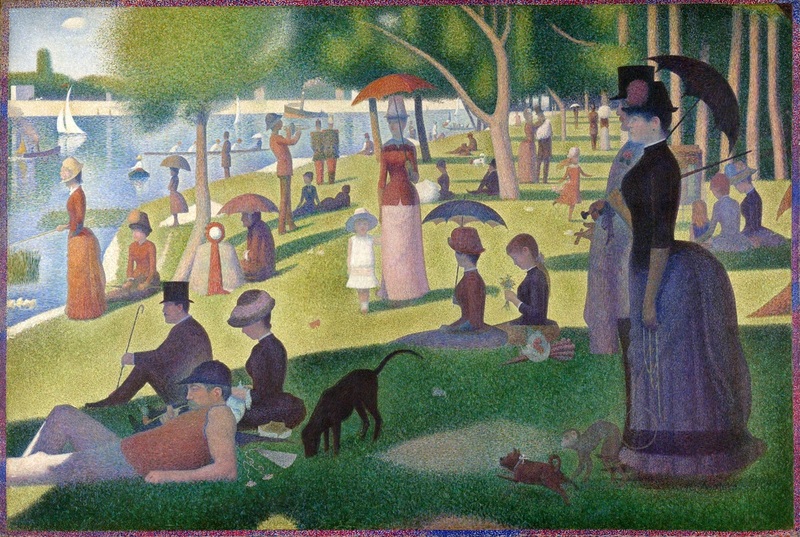 They used the pointillism technique in their designs. Grade 5 students were inspired by the Artist Bridget Riley from the Optical Illusion Art Movement. Working with size variation and line quality the students created some very impressive optical illusions of their own. I hope you are able to spend some time talking with your child about the International Day of Peace which is Monday, September 21st. And I hope that you are able to enjoy the beautiful pinwheels that will be "installed" outside in front of the school on Monday morning. Peace begins with you and me! This week we looked at the painting Thanksgiving by Doris Lee and then we took some time to think about what we are thankful for. We created a "thankful turkey" to stand on our tabletops this holiday. Our turkeys have lots of personality!! !